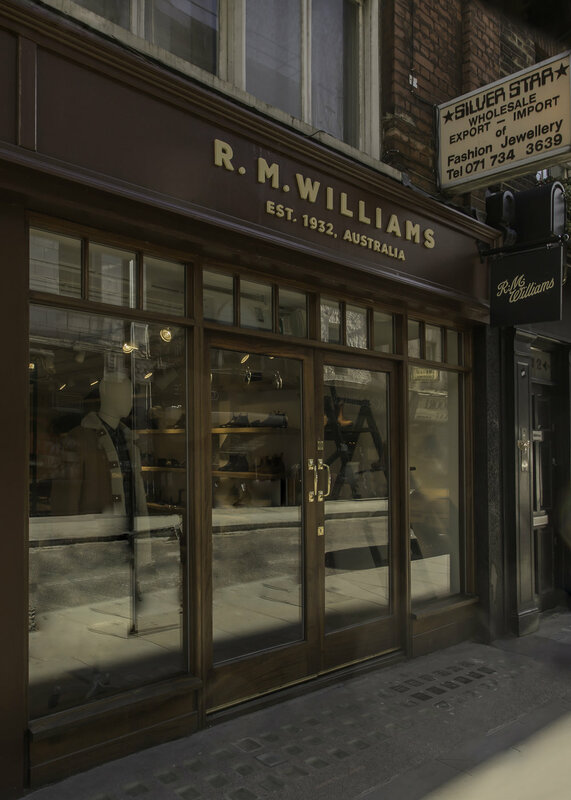 Iconic Australian brand R.M.Williams has opened its third store in London, located in Soho; the creative heart of the city, offering men’s and women’s boots as well as a curated collection of men’s ready to wear styles. Remaining true to its artisanal surrounds, the R.M.Williams Soho store introduces the essence of an Australian stockman’s workshop to London. The R.M.Williams Soho store heroes the brand’s iconic handcrafted and long-lasting boots with a curated collection of signature styles, including the urban Gardner and Classic Turnout styles; modern staples just at home in the outback as they are on London’s city streets, alongside the renowned men’s Craftsman and women’s Adelaide boots. 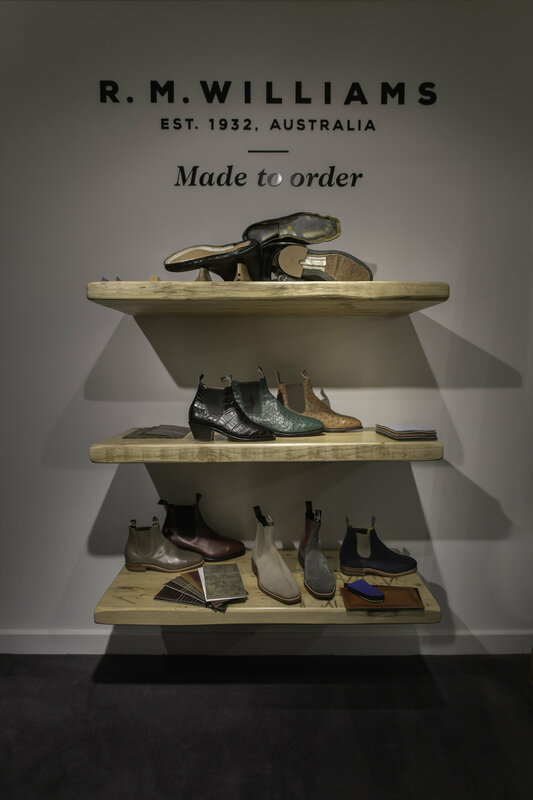 A selection of R.M.Williams boots sold in the Soho store have been crafted for the Northern Hemisphere climate, allowing customers to enjoy their boots all-year round. Also available will be a curated collection of men’s hand-plaited belts, leather accessories and apparel. For Spring/Summer 2018, R.M. Williams has also partnered with Duilio Girotti, an Italian craftsman and burnishing expert. Travelling from Rome to the Adelaide workshop where he spent time with the in-house craftspeople, sharing his knowledge and expertise. Ensuring that no two boots are the same, the boot upper is cut from unfinished hide; Italian dye is then applied by hand. This is followed by hours of polishing and buffing, with particular attention paid to the toe and heel. Colours are worked and re-worked to create a mesmerizing tonal transition, and each one-piece-of-leather boot travels through 90 pairs of hands as it’s made. The process creates a beautiful richness and unique highs and lows on a boot. To celebrate the launch of the new store R.M. Williams also collaborated with Paris-based custom garage Blitz Motorcycles, including the handcrafted Scrambler boots and collaboration bike. Inspired by drivers who use motorcycles to herd cattle over the vast and unpredictable landscapes of the Australian Outback, the Scrambler is a recreation of the original Motorcycle Boot first introduced to the R.M.Williams range in 1993. The Scrambler is available in two leather options; Brown Crocodile, an exotic leather available through the Made-to-Order service, and Black New Zealand cowhide, a leather exclusive to the collaboration. The R.M.Williams Bespoke service is available in-store, providing customers with customisation options across size and fit, leather and skin, elastic, thread, soles and a personalised message to truly make your R.M.’s your own. “We are proud of our unique craftsmanship and Australian heritage, making our move in to the creative hub of London a natural fit. R.M.Williams purpose-built product is perfect for the Northern Hemisphere in both style and function, and we are confident that Soho residents will resonate with our dedication to quality and comfort” said R.M.Williams CEO, Raju Vuppalapati. R.M. Williams, 43 Berwick Street, London, W1.